A slideshow or slider in web design is a showcase of a series of images that sometimes have a text overlay. In latest trends websites designers make sideshows with different styles to grab visitor attention best possible. Some sliders are flash based but the trend seems to be that most are build using jQuery slider plugins today. Slideshows or sliders are obviously a popular trend right now – and for good reason. It’s an effective way to increase conversion rates by highlighting multiple important elements without taking too much space. And from a technology standpoint, the popularity of jQuery has made it almost too easy to implement a great looking slideshow. 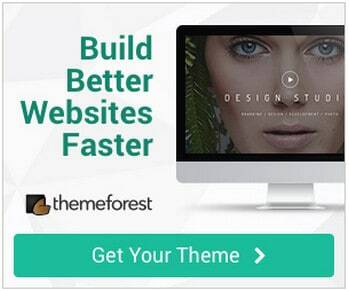 For webmaster running WordPress sites it is even more simple. 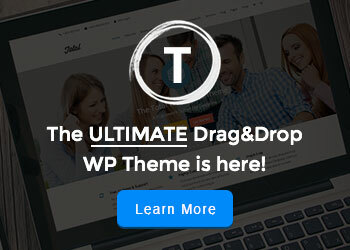 While most modern themes have flexible sliders built in it is also possible to find really good WordPress slider plugins that install with just a few clicks. In this collection you will find a variety of highly creative, beautiful and inspirational slider solutions for your inspiration. This article have just been updated with new awesome sliders and all links have been checked. This site have a background slider where the controls have been integrated into the page as if it was a normal featured slider. Transparency in webdesign is really pospular and we see it used also on this site making the sliding background visible throughout the entire page. Really a great design idea. This is a must see very interactive slider. Logo in the top left coner overlap the slider area and some of the slides let elements fade in over time. Stunning slider! This slider is full with and almost full height but it is worth taking up the space for it. The design is kind of a carousel as visitors and see previous and next slides to the sides but the opacity is lowered making the current slide stand out. On mouse over the slides to the sides light op. Each slide have subslides controlled to the top right. Very simple and clean design but the slider is not as ordinary as you may think. There are two directions. Up and down is the top level slide navigation flipping between portfolio projects while the horizontal sliding is used to show details of each project. Really great example of a slider that is well integrated into the other page elements (logo and main navigation). This have a rounded top border and it works quite well as new slides enter the scene. Most important though the people behind this website work for a very important cause. This slider offers very simple navigation and the simple images of people with status updates look really great. This is a really unique slider design where individual elements on each slide hang on the line. On slide switch the fly out and both acceleration and breaking is nicely animated reaulting in a stunning effect. A really special slider design with a slanting bottom border and navigation places a the top middle position. On one of the slides a element cross the bottom border and gives the out of the frame effect. Awesome clean and calm design and a slider that fits the design perfectly using a light effect. This slider is really cool and have title and caption text overlayed as labels next to and below the simple navigation arrows. This website offer an elegant and beautiful layout and image slider where two images change at the same time. This website have a great design and a slider that may not have same height at we typically see. However the image loader is making a lot of visual noise and really makes sure visitors pay attention to the slider. It is a strong design element to use and may be good for conversion on some sites but too strong for others. Feature slider with a great looking slide overview containing icons below the slide main content. The slider on this website have a few nice design elements. First of all it use the out of the frame effect by having a background that change color and let the elements overlap. The navigation is also placed in the dark are supporting the effect that the website screenshots cross the slider border. It is also special that the slider have a fixed position in the left side and go to the full page width to the right. Very special design found here and the design is one-page making it to one large slider. Try to find the navigation in the many illustrations. This slider has been eell integrated into the page design and use combination of image and text. This slider show the possiblilites with using multiple layers that slade in at different points in time. Really a cool effect to attract attention. The design on this site really strand out. The menu next to the slider is a cool accordion. The slider fit weell into the page design. Cool slider design where the navigation have been designed to fit the page ribbon design elements. This website offers a unique design and the while the slider is a simple image slider it it still equipped with really cool navigation buttons. This page both have a Slogan slider and a featured portfolio items slider. A full page image slider. 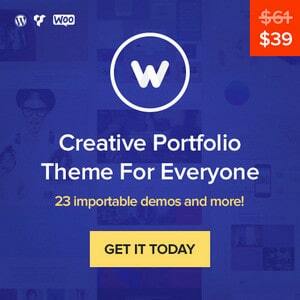 Really a cool way to show off a few portfolio items. While this is a nice looking slider it takes to a lot of space above the fold. The designer decided to add a “Hide banner” button to give visitors the possibility to remove it. Another design with two sliders on the same page. One showing photos from stores to show this is not just a virtuel business and then another showcasing individual products. This is an example of a massive and simplistic slider. There are no navigation to the left and right. Lage featured items slider with simple navigation to the right breaking outside the borders of the page. A very stylish dark design with a cool unique slider. The text to the right is animated when slides turn. There is also an navigation arrow pointing down – this leads to the overview over clients. This is a cool and different approach to a slider design. The navigation arrows and the numbers showing what the current slide is are huge. This slider show mini icon on mouseover next to the navigation buttong and a cation text. Slider design is certainly costumized to fit the page design. I hope you liked this post and found some useful slider inspiration. Please share it and join the conversation below. I want to add another step in the i phone and text in tearoundapp website template. what should I change. Number 9 is very nice. I love how they treat the mix between green, white and black. Well, you are always awesome but I am searching for the source codes. Please release atleast some of them! Inspiring set, there are so many slider out there and even if you think you saw them all there are always new ones! Yes you are right Theo, It is good but on the other side it makes it difficult to choose ! Nice collection, I’m always looking for a variation of slide shows for inspiration. This one is bookmarked.